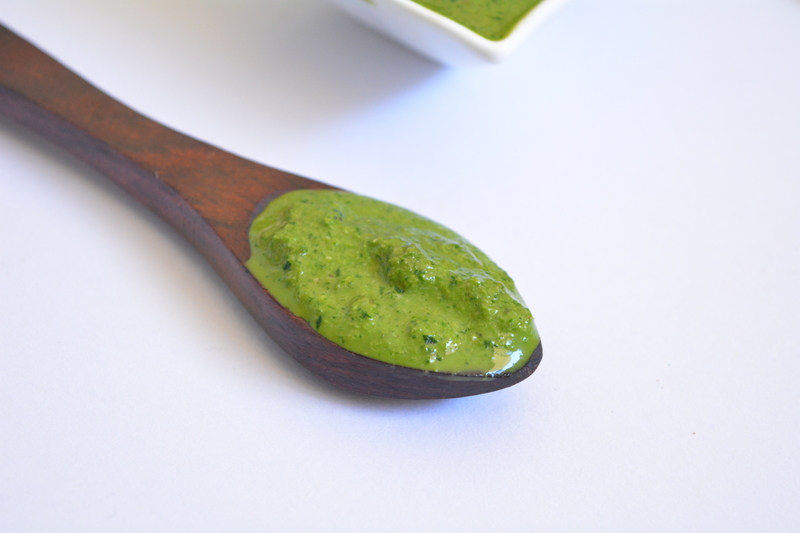 This is hands down the best vegan pesto I’ve made till date. Super easy,only 6 ingredients, takes 5 minutes to make. 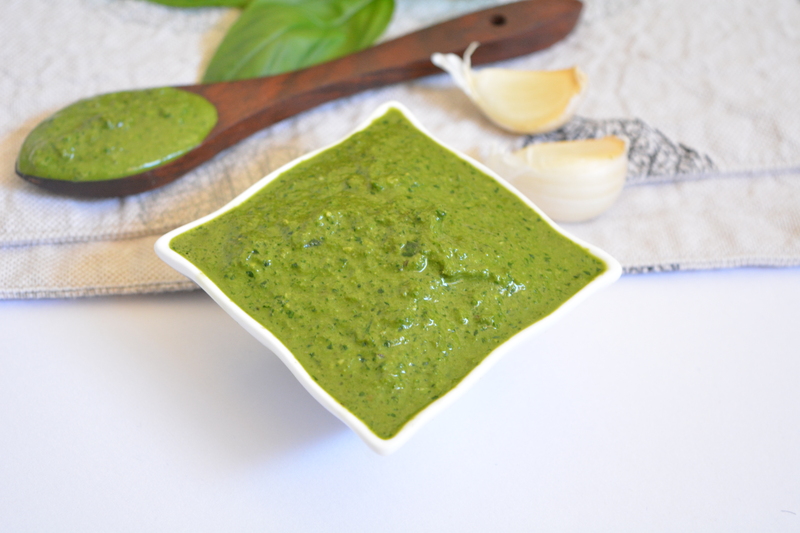 Creamy, full of flavour, packed with goodness of kale, this is healthy, oil-free, cheesy and you will not miss your normal pesto. 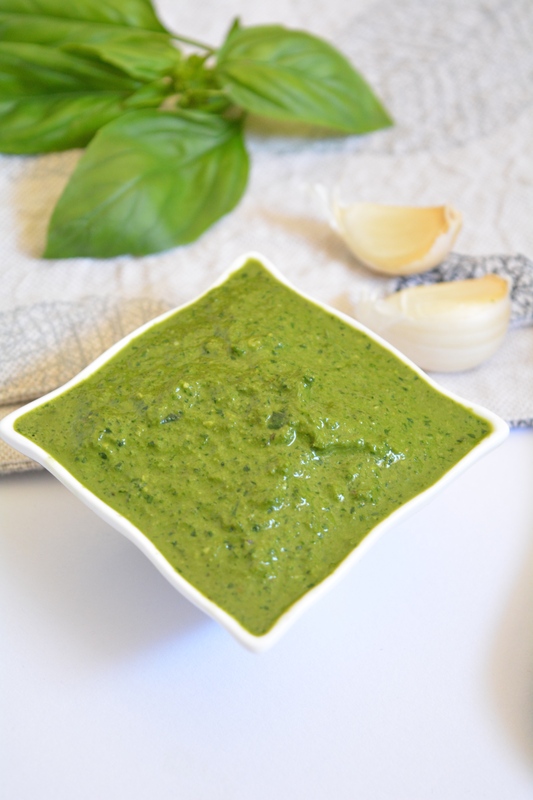 Ever since the arrival of Vitamix, I am obsessed with making salsas, soups, sauces & smoothies. Sanju’s best gift to me till date. 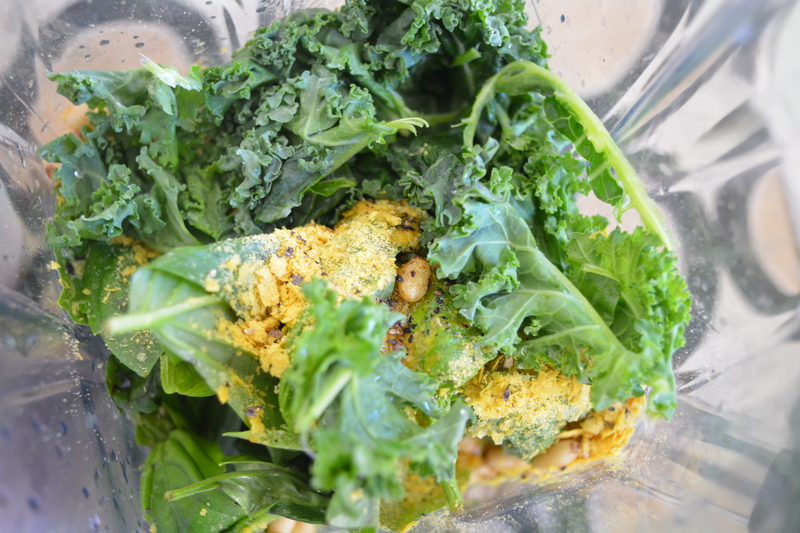 I had couple of Tbsp of pine nuts left over after making my green goddess hummus and a beautiful bunch of basil and kale, I knew it was Pesto time. In a small pan, dry toast pine nuts. Everything else goes into food processor along with the pine nuts and pulse few times. You could add 1 Tbsp Cashews, 1 Tbsp Walnuts instead of pine nuts. Watch out for water. Process with 1 Tbsp water at a time until you have desired consistency. Sometimes you might not need 1/4 cup. 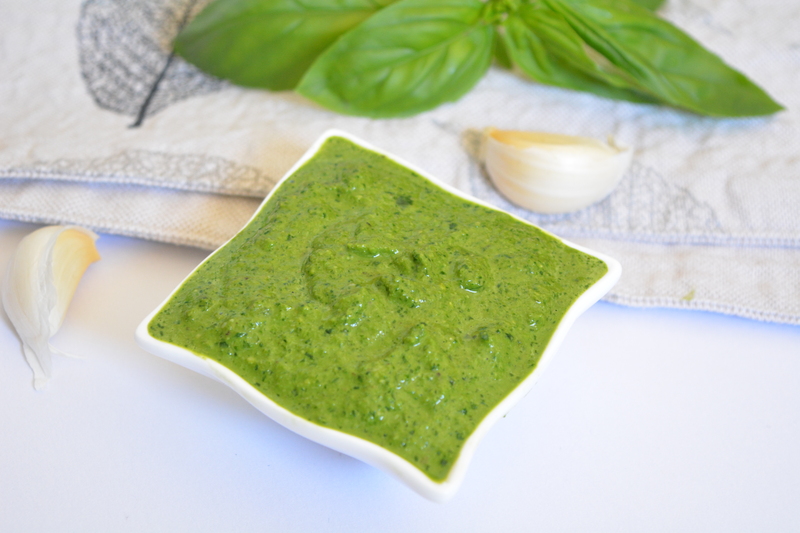 depends on water content of the basil leaves. Watch out for water. Process with 1 Tbsp water at a time until you have desired consistency. Sometimes you might not need ¼ cup. depends on water content of the basil leaves. 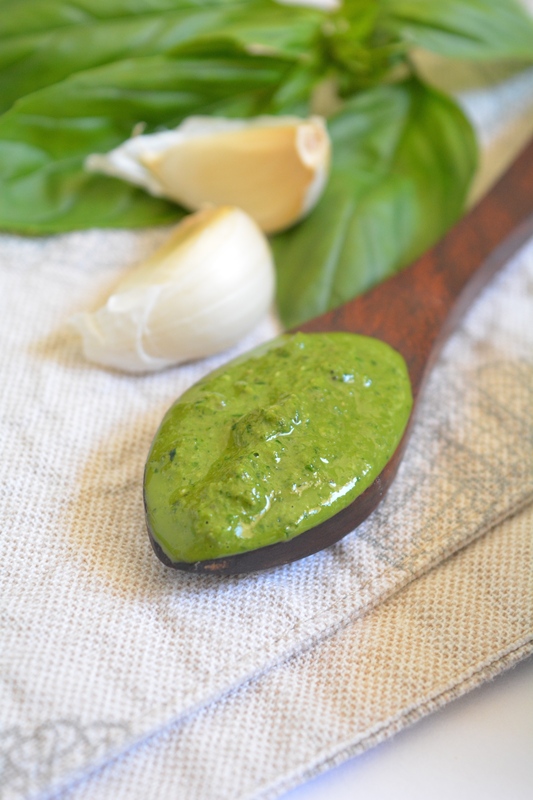 Toothsome pesto with lovely combo of greens…. 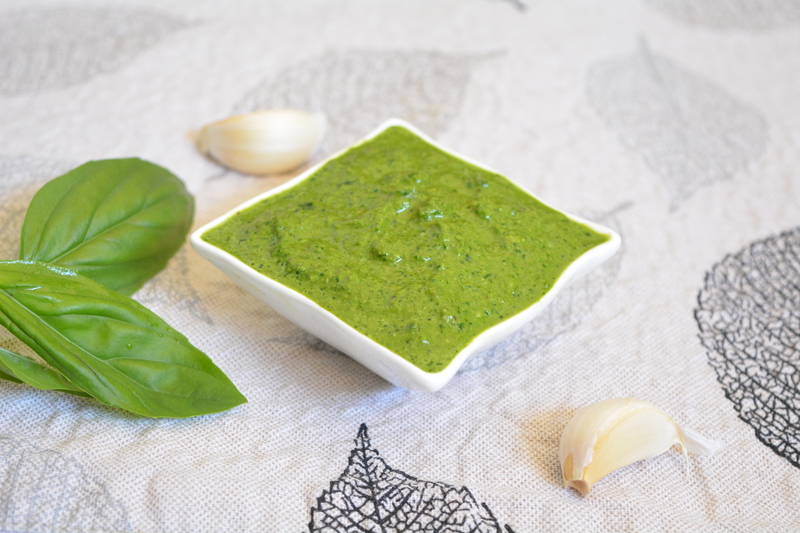 I love kale, I love this pesto! Yes! Yes! Yes! Genius idea!